The stigma of periods, Caroline Criado Perez on biased data that excludes women, boxer Simran Kaur and Tom Kerridge cooks the perfect roasted winter sprout curry. 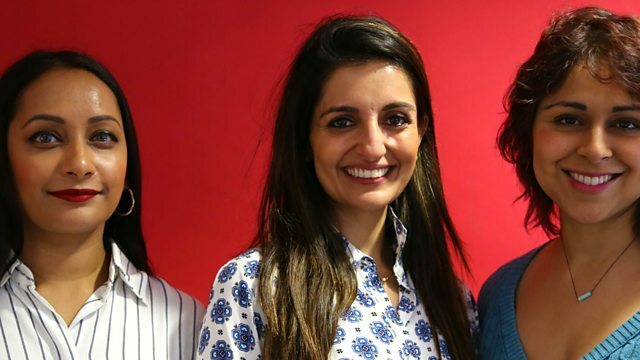 A film about the stigma of menstruation in rural India has just won an Oscar – we hear from three British Asian women about the stigma in the UK. Psychologist Dr Sunny Kleo, journalist Poorna Bell and the writer Sonal Sachdev Patel. The world has been built by men, for men and, according to Caroline Criado Perez author of 'Invisible Women', we’ve struggled to do anything about it because we’ve been using biased data that excludes women. She explains why and what she thinks we can do about it. Seventeen year old national youth champion boxer Simran Kaur has just won her her fifth consecutive National ABA crown. What does she love about the sport? Elli Radinger gave up her legal career to study wolves. She's written a new book 'The Wisdom of Wolves'. She tells us about the wolves she’s encountered and why she-wolves make the key decisions in the pack. Getting a business started if you’re a black, Asian or minority ethnic woman – how difficult is it to find investment? Charmaine Hayden, senior partner at GOODsoil Venture Capital and Mariam Jimoh, founder of Women in the City Afro-Caribbean Network discuss. A new play 'The Son' is about a teenage boy whose parents have separated and he is skipping school, self-harming and is depressed. How accurate a reflection is the play of a troubled teenager? We speak to the actress Amanda Abbington who plays the boy's mother and to Dr Bernadka Dubicka, Chair of the Faculty of Child and Adolescent Psychiatry from the Royal College of Psychiatrists. The Michelin starred chef Tom Kerridge who famously lost 12 stones - Cooks the Perfect Roasted Winter Sprout Curry. The violinist Madeleine Mitchell found some of the unpublished work of Welsh composer Grace Williams who died in 1977 - why has she put together an album of her Chamber Music?